Hello, wonderful blog readers! If you haven't already noticed, 2013 is already half over. Crazy, right? I hope you're all having a wonderful year and progressing nicely on your reading list. My personal goal is to read 100 books and as I write this post, I'm at about 60. To be totally honest, I've been a little disappointed in 2013 in terms of reading. I've read a lot of stuff that's really good, but not very many that make me go, "WOW. Now THAT is going on my favorites list!" I know I can't fall head over heels for every book I read, but I wouldn't mind another year like 2012, where I read so many books I loved that my list of favorites at the end of the year included my top 12, not just my top 10. Even though it seems like the ALA Youth Media Awards were just announced yesterday, it's already time to start thinking towards midwinter. I've read the Caldecott books because I have them in my collection at work, and read Code Name Verity shortly after the announcements. Although it's not something I've talked about much here, I enjoy guessing what's going to win the awards. So far in 2013 I've picked up a couple of books that I think may be deserving of or could win the Printz. Eleanor and Park's story is so many things. It's romantic. It's sweet. It's sad. It's raw. It's real. I think this tale of first love has a shot at some awards. Woolston's novel is short but man is it fucked up. Considering that this book is only 160 pages, it's amazing how much content Woolston jams in, both in terms of plot and metaphor. 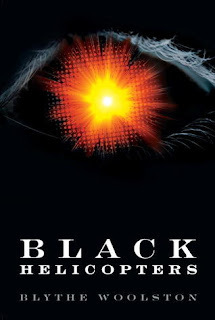 Black Helicopters is not an enjoyable to read. It's a grim story that will make you sick to your stomach. Regardless, readers walk away impressed because it's incredibly literary and thought-provoking. Even though a piece of me wants to unread this one, I'll be disappointed if it doesn't get an honor. I haven't heard much Printz buzz regarding Kirby's book yet, and I'm not sure how much it's going to generate. I know a handful of people, including myself, who didn't care for In Honor, and that could stop people from taking Golden seriously. 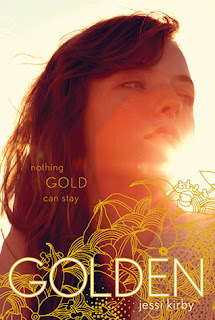 Rest assured that these are totally separate stories and that Golden is an amazing novel. Robert Frost's poem is seamlessly incorporated into Kirby's gorgeous writing, and I loved the message that came across at the end of the book. Plus, the plot kept me up late at night. Look, I try to give everything it's fair shot, even if it doesn't sound like my type of thing. The storytelling in Midwinterblood is decent enough, but the whole book reminded me far too much of Lost. If you can't believe I watched all of Lost, don't worry--I spent at least three seasons of it knowing that the show was a hot mess yet unable to look away. 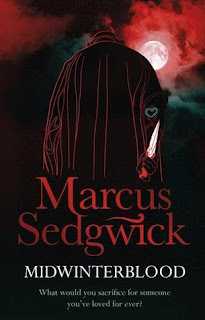 While I wouldn't say Midwinterblood is a bad book, it's not my cup of tea. However, considering the sheer amount of starred reviews it's gotten, this is a title to keep an eye on. So do you have any thoughts on the Printz this year? Have you read any books that are particularly deserving? Let me know in the comments, because I'd love to hear your thoughts. 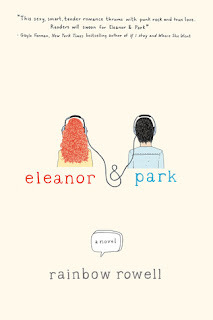 I'd love to see Eleanor & Park nominated for a Printz Award but have a feeling it may not happen. Once again, I've failed miserably this year to read newly published content. Thanks for this post! It's brought me a bit more up to date.